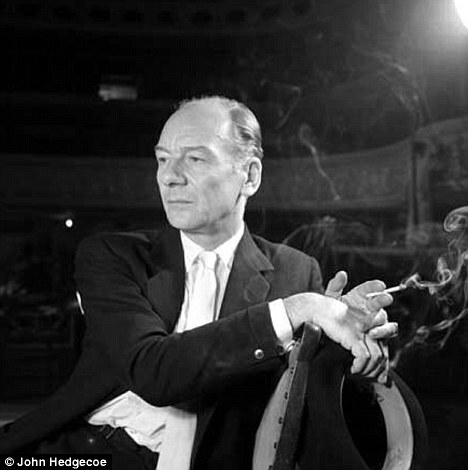 Sir John Gielgud OM CH was born today, April 14, in 1904. He was an English actor and theatre director whose career spanned 8 decades. With Ralph Richardson and Laurence Olivier, he was one of the trio of actors who dominated the British stage for much of the 20th century. A member of the Terry family theatrical dynasty, he gained his first paid acting work as a junior member of his cousin Phyllis Neilson-Terry's company in 1922. After studying at the Royal Academy of Dramatic Art he worked in repertory theatre and in the West End before establishing himself at the Old Vic as an exponent of Shakespeare in 1929–31. 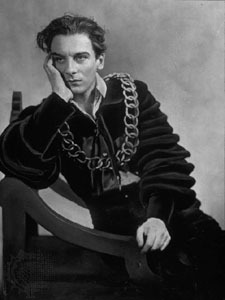 During the 1930s Gielgud was a stage star in the West End and on Broadway, appearing in new works and classics. He began a parallel career as a director, and set up his own company at the Queen's Theatre, London. He was regarded by many as the finest Hamlet of his era, and was also known for high comedy roles such as John Worthing in The Importance of Being Earnest. When avant-garde plays began to supersede traditional West End productions in the later 1950s he found no new suitable stage roles, and for several years he was best known in the theatre for his one-man Shakespeare show Ages of Man. From the late 1960s he found new plays that suited him, by authors including Alan Bennett, David Storey and Harold Pinter. During the first half of his career, Gielgud did not take the cinema seriously. Though he made his first film in 1924, and had successes with The Good Companions (1933) and Julius Caesar (1953), he did not begin a regular film career until his sixties. Gielgud appeared in more than 60 films between Becket (1964), for which he received his first Academy Award nomination for playing Louis VII of France, and Elizabeth (1998). As the acid-tongued Hobson in Arthur (1981) he won the Academy Award for Best Supporting Actor. His film work further earned him a Golden Globe Award and two BAFTAs. Although largely indifferent to awards, Gielgud is one of only 12 people to have ever be an EGOT -- winner of an Oscar, an Emmy, a Grammy, and a Tony. He was famous from the start of his career for his voice and his mastery of Shakespearean verse. He broadcast more than a hundred radio and television dramas between 1929 and 1994, and made commercial recordings of many plays, including 10 of Shakespeare's. Among his honours, he was knighted in 1953 and the Gielgud Theatre was named after him. From 1977 to 1989, he was president of the Royal Academy of Dramatic Art. Even when he was in stable relationships, such as that with the actor and producer John Perry in the Thirties, Gielgud was never monogamous. Even during his last relationship with Martin Hensler, a mysterious and aggressive Hungarian who was his live-in companion for more than 30 years, Gielgud still hankered after other men. 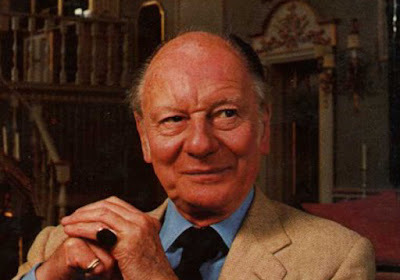 Gielgud's companion, Martin Hensler, died in 1999. After this, Gielgud went into a physical and psychological decline; he died at home on May 21, 2000, at the age of 96. He possessed my single most favourite voice that I've ever heard. Could write a hefty volume on the rest of him - but I'll have to leave that till another time.